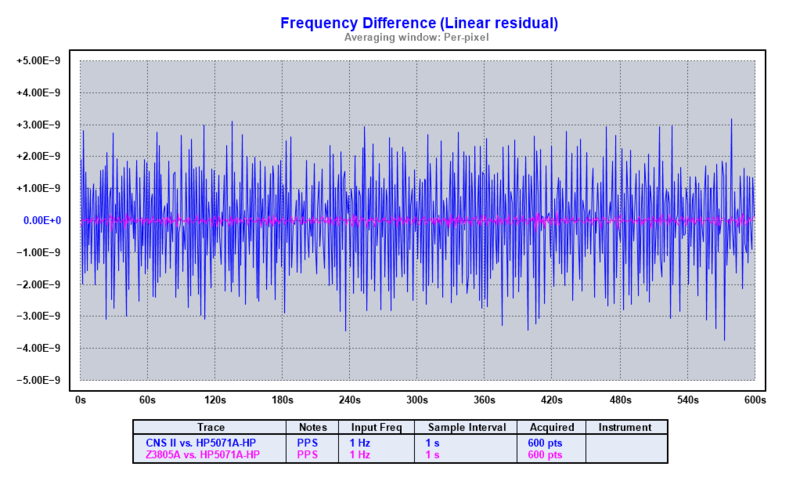 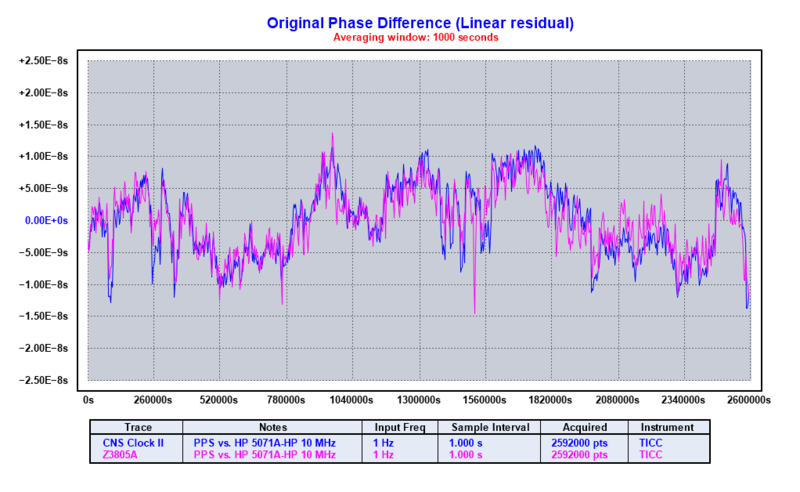 I couldn’t find a nice graph showing the timing performance of a single-frequency, sawtooth-corrected, pulse-per-second output from a GPS. 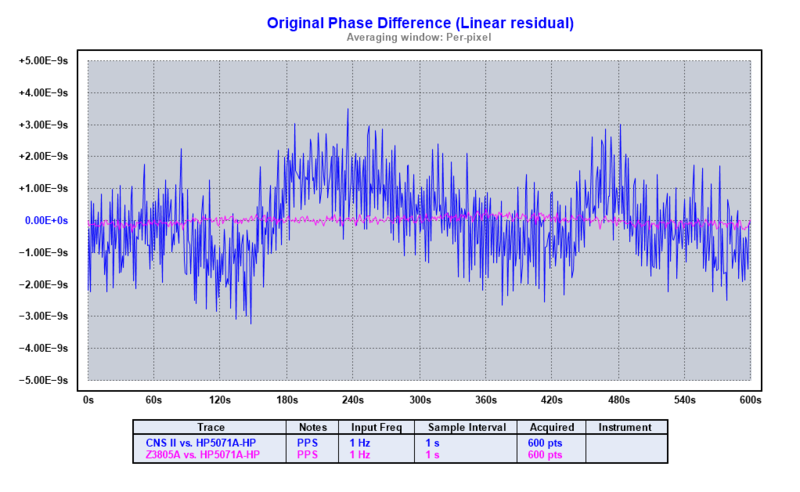 So I measured a CNS-II GPS Clock and a surplus telecom HP Z3805A GPS Disciplined Oscillator (GPSDO) against a high-performance Cesium standard for 30 days. 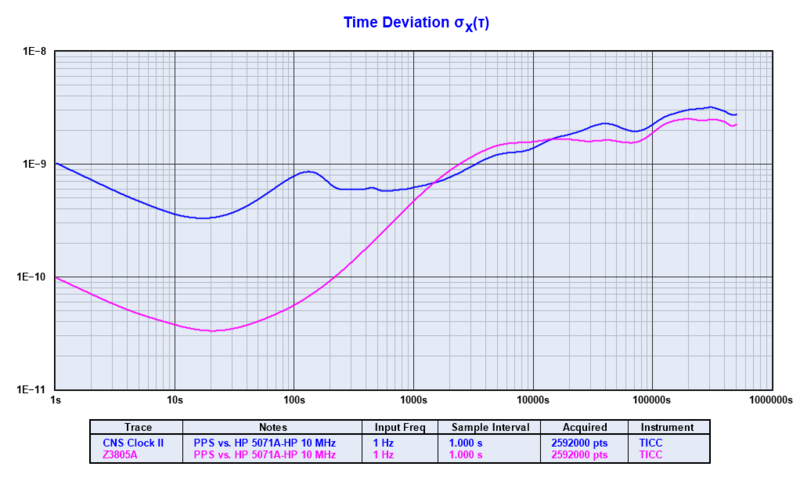 Here are a whole bunch of pretty pictures of the results for my (or your) future reference. 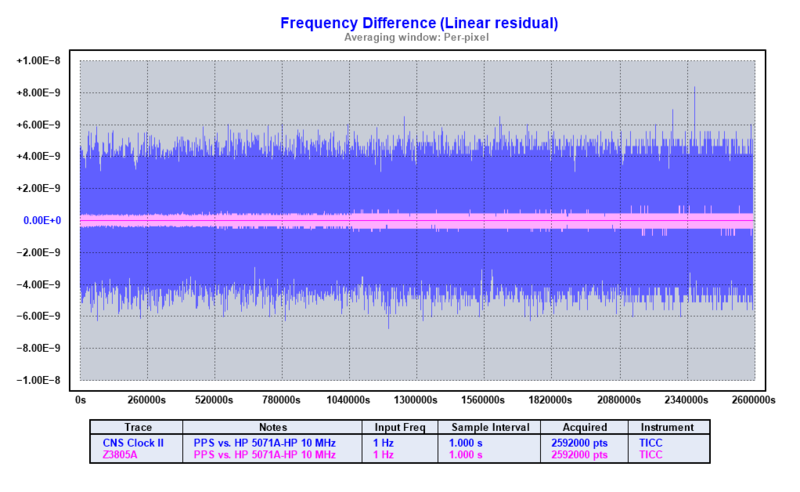 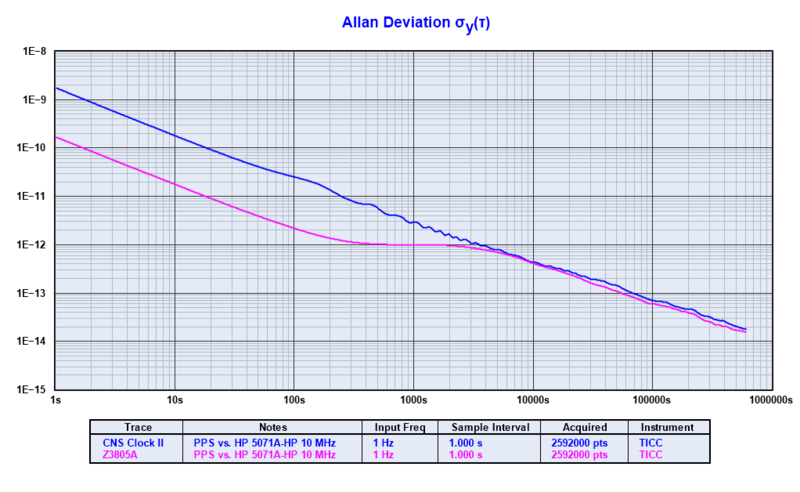 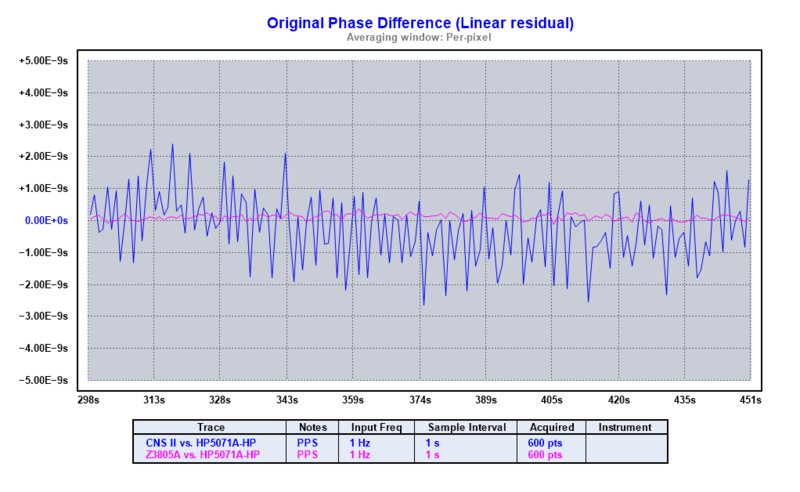 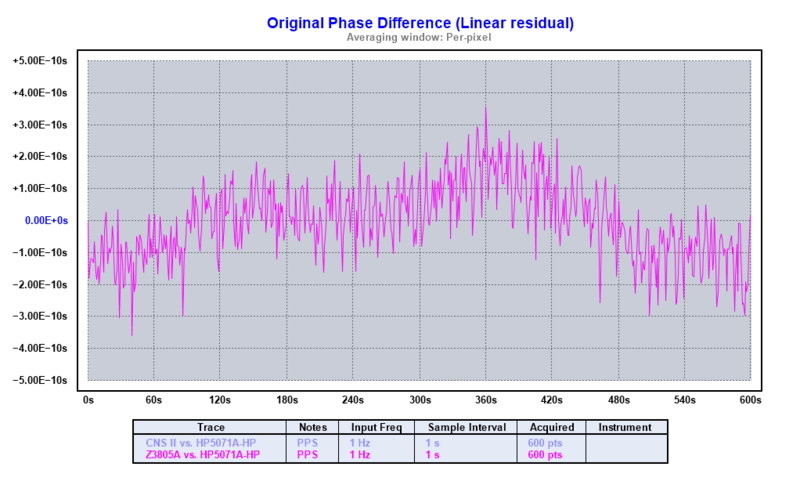 First, here are Allan Deviation, Time Deviation, phase difference, and frequency difference plots of the 30-day period. 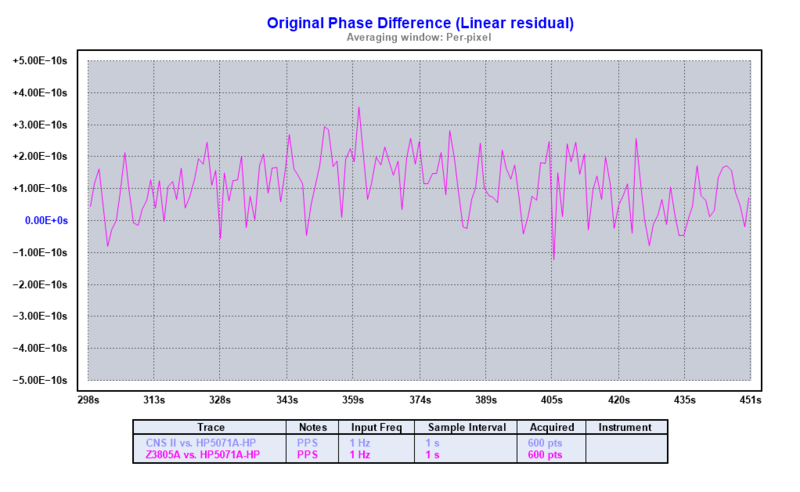 Here is a phase difference plot with 1000 second averaging; this gets rid of a lot of the fuzz and makes it easier to see trends. 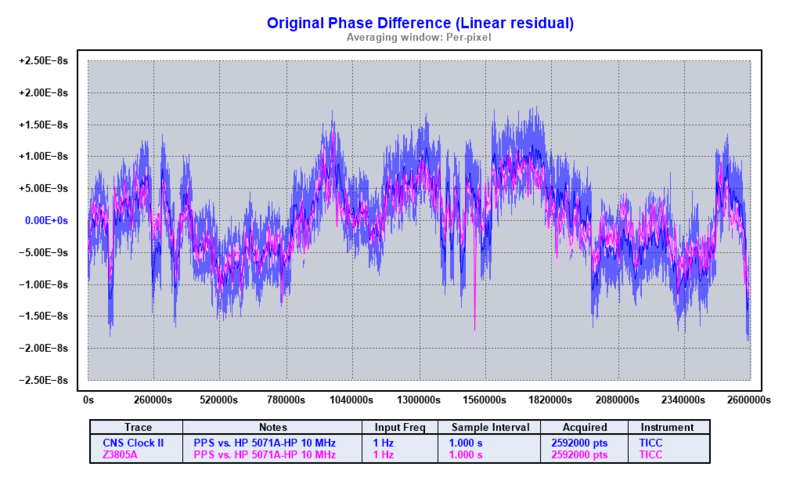 Here are some zoomed-in plots that show the short-term jitter of the sawtooth-corrected GPS and GPSDO.